The Africa Centre awarded £1.6m grant by Mayor of London’s Good Growth Fund | The Africa Centre | Proud of our past. Passionate about our future. Since moving from our historic home in Covent Garden to our new base in Southwark, we recognise our rich and important legacy and are committed to continuing to play a vital role for London’s diverse communities. From official inception in 1964 to now, The Africa Centre has played an integral role as a focal point for African foreign affairs, culture, and intellectual development. Our vision is of a contemporary 21st century Africa – vibrant, global and firmly seated at the table. 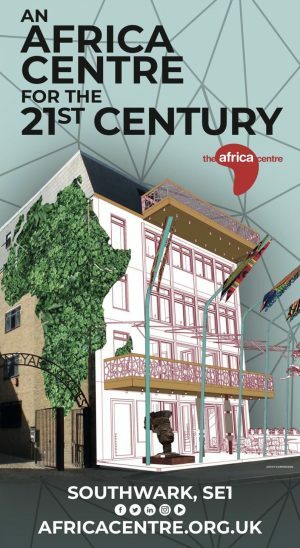 The successful development of Gunpowder House on Great Suffolk Street SE1, is a unique chance to create a powerful legacy for the African and Diaspora community and for all those interested in African and Diaspora culture and heritage; we will have an Africa Centre fit for the 21st century and a new home to meet the needs and aspirations of the next 50 years. “We’re absolutely thrilled at the news. This comes at a very pivotal time in The Africa Centre’s development. Our new home in Southwark is located in the third largest inner-London borough, which is also home to the largest black population in London. It is vital for the BME community to have access to places that create a sense of belonging and the revitalised Africa Centre will represent just that for many. Our aim is to make the new Africa Centre the most welcoming cultural space in London, both as a cultural beacon and as a natural home for the growing BME community in the Borough, and across London. This support from the Mayor’s Good Growth Fund will help us to achieve this. “This is a great example of a project which aims to give Londoners of all backgrounds the opportunity to be actively involved in shaping how their city develops.